Check out the latest Community Stakeholder Advisory Board newsletter to catch up on the latest news and upcoming events. Community Stakeholder Advisory Board (CSAB) Survey—Please Respond! The Southeastern Coastal Center for Agricultural Health and Safety (SCCAHS) is committed to stakeholder involvement. We prioritize community-based participatory research, and have included representatives from Extension, industry, public agencies, regulatory agencies, academia, advocacy organizations, and medicine on our Center’s Community Stakeholder Advisory Board. A high-functioning CSAB allows our Center to better to engage stakeholders in receiving input on research findings, educational and communications materials and message testing to make our work accessible to the community at large. Please respond to our survey to help us work most efficiently and productively with our board as we expand into our seven-state southern region. 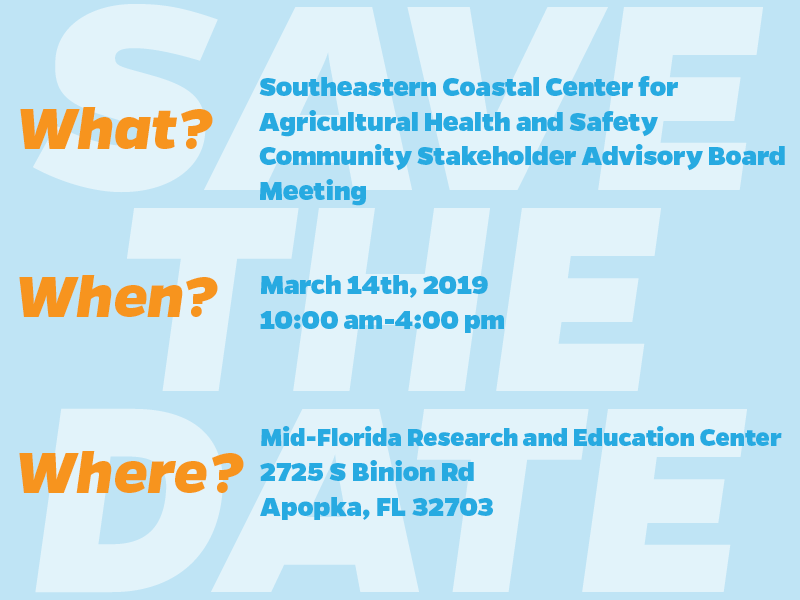 Thank you for your continued commitment to the Southeastern Coastal Center for Agricultural Health and Safety’s Community Stakeholder Advisory Board. Our annual board meeting will be March 14, 2019 at the UF/IFAS Mid-Florida Research and Education Center in Apopka. Travel, including lodging, mileage and tolls, will be reimbursed for CSAB members. Please RSVP for the meeting. 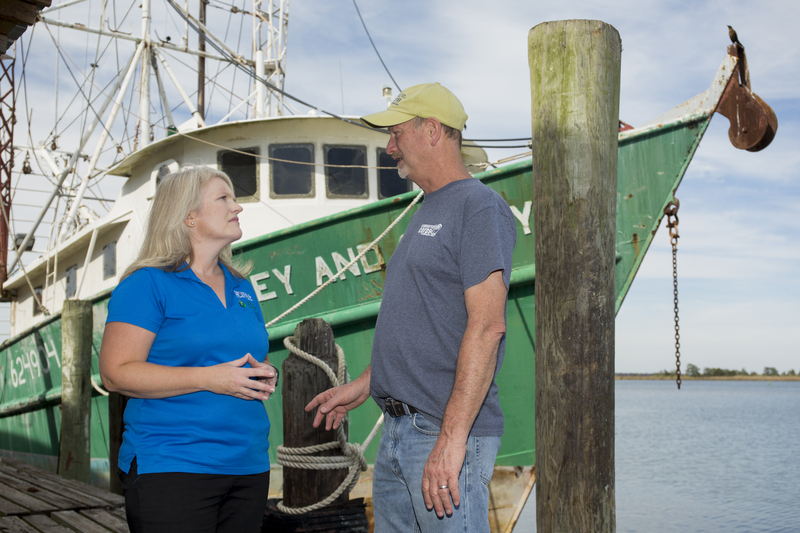 The webinar series from the Southeastern Coastal Center for Agricultural Health and Safety provides research and education to the agricultural sector and associated stakeholders to address agriculture, fisheries and forestry workers’ safety and health needs. The webinar series occurs on a monthly basis. Upcoming speakers and topics are listed below. Visit sccahs.org for more information and to register. A day and a half training aimed at providing Florida State Agricultural Response Team (SART) team members and partners, first and direct Responders, Florida Department of Agriculture & Consumer Services (FDACS) employees, University of Florida Institute of Food and Agricultural Sciences (UF/IFAS) Extension faculty and staff and other community members active in disasters the skills needed to address mental health needs and issues following disasters. Trainings will be held in several locations throughout the state. Training will include Mental Health First Aid – A one day 8-hour training developed by the National Council for Behavioral Health to provide attendees with an understanding of mental health, and how to support those with mental health challenges. A half-day will include reporting research in this area and sharing of Best Management Practices. 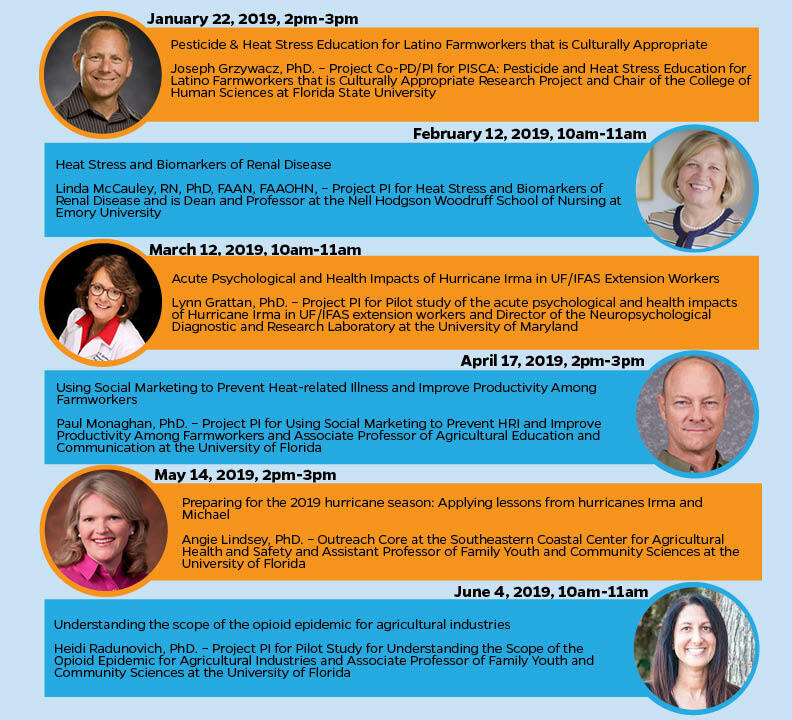 Training will be taught by UF/IFAS Researcher and Certified Mental Health Workers. 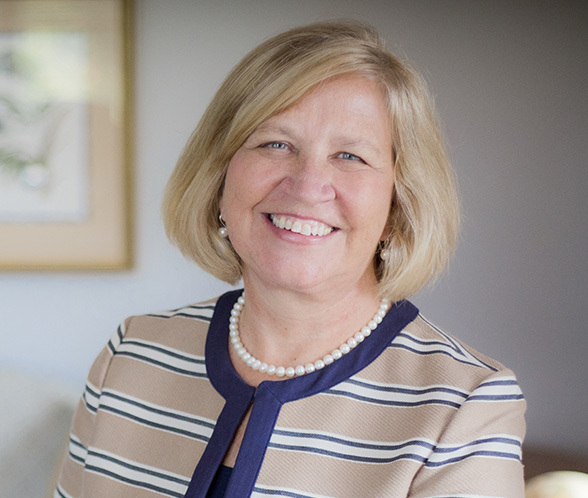 SCCAHS recently sat down with SCCAHS researcher and Dean at the School of Nursing at Emory University to discuss her research on heat stress and the biomarkers of renal disease. McCauley and her team evaluated the body temperatures of Florida farmworkers and tested various pieces of clothing that could potentially keep body temperatures down. McCauley also shared her concerns about the cost of potential life-saving equipment, the industry adopting the use of the equipment, and policy related to intervention. Tune into the video to learn more from McCauley about the project.